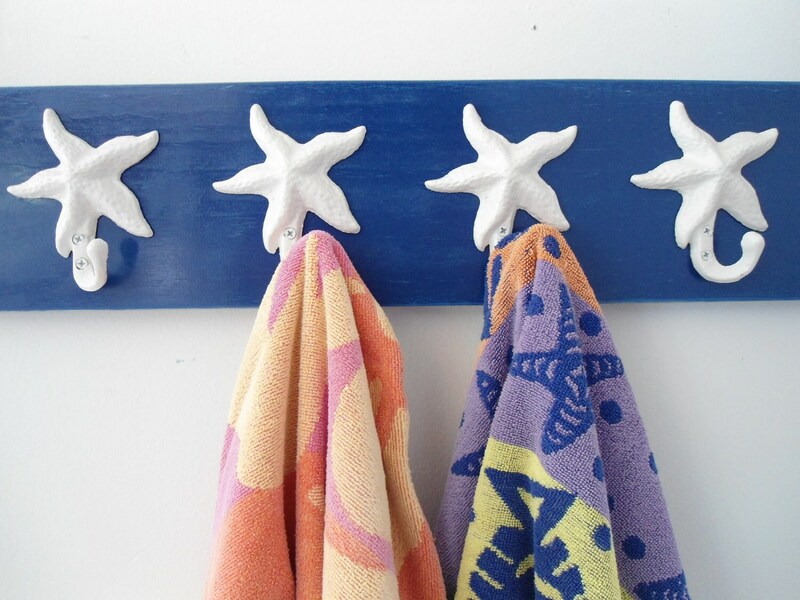 These starfish towel racks are our ORIGINAL DESIGN, one of our best selling items; LOVE this new color combo we've just shipped several in this color combo-blue and white, but this 7 SEVEN hook board was created for a special customer, and now we're offering this same design, longer boards with more hooks, to all of our etsy customers. 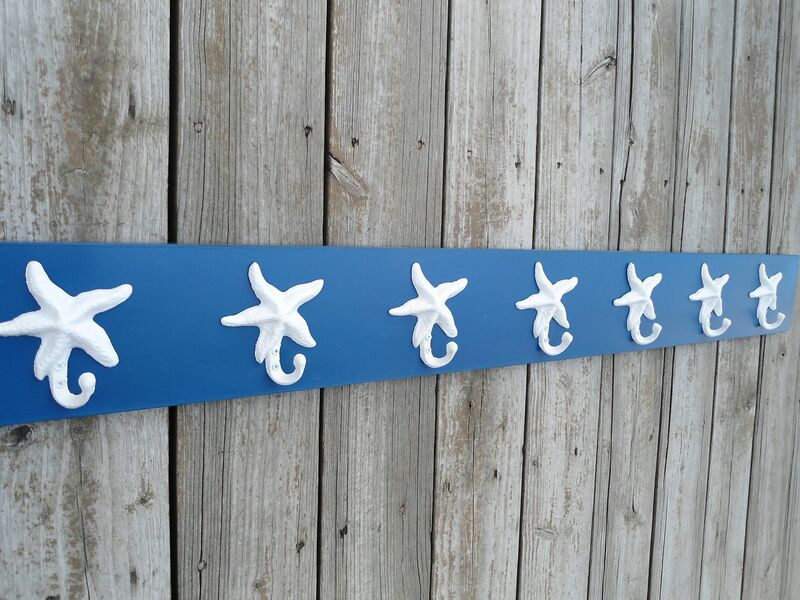 Our medium blue (it almost looks like royal blue, slightly lighter than navy blue) board with white starfish hooks is a classic color combination. 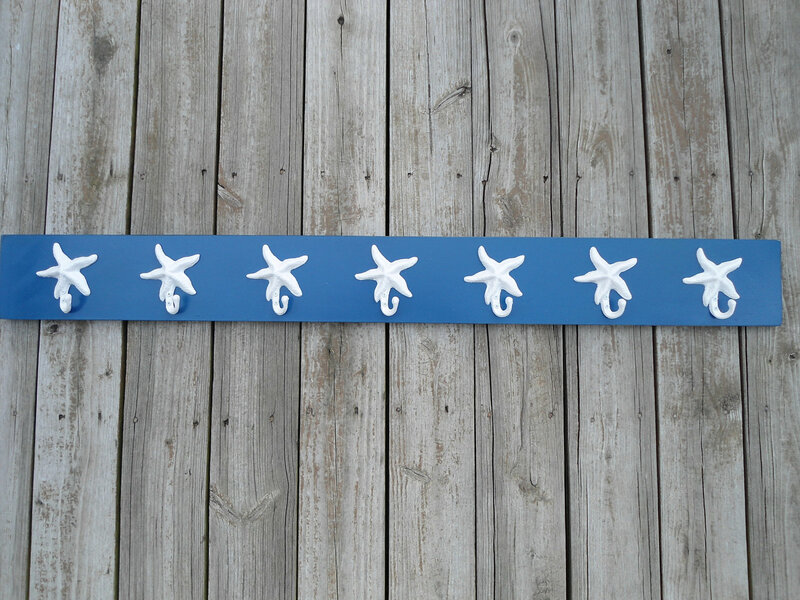 This listing is for a 46"-47" inch board with 7 SEVEN starfish hooks in the colors you choose. 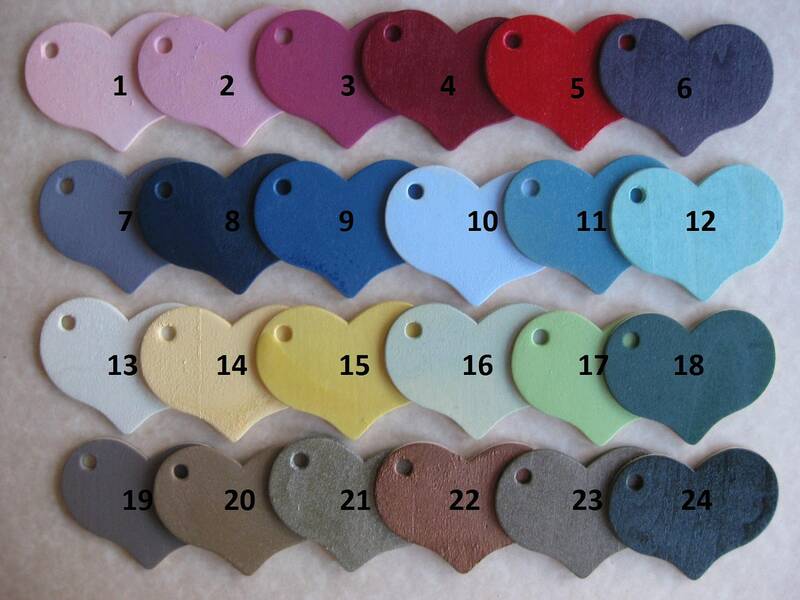 This is one of our best selling items year round, now available in 30 colors (see last photo for our color palette ) This handmade, high quality, lovely gift, with popular decor colors,works with any decor, and will bring that beach feel to your home every day. PLEASE NOTE: All hooks boards with mounted hooks now have a 10 business day turnaround time. This listing is for your own custom piece like the one shown, made from premium lumber that has been cut by Tommy, sanded and then painted with a couple coats and sanded some more . Then we attach these lovely starfish hangers-we've given them a couple coats of paint, and sanded them some to distress them a bit. 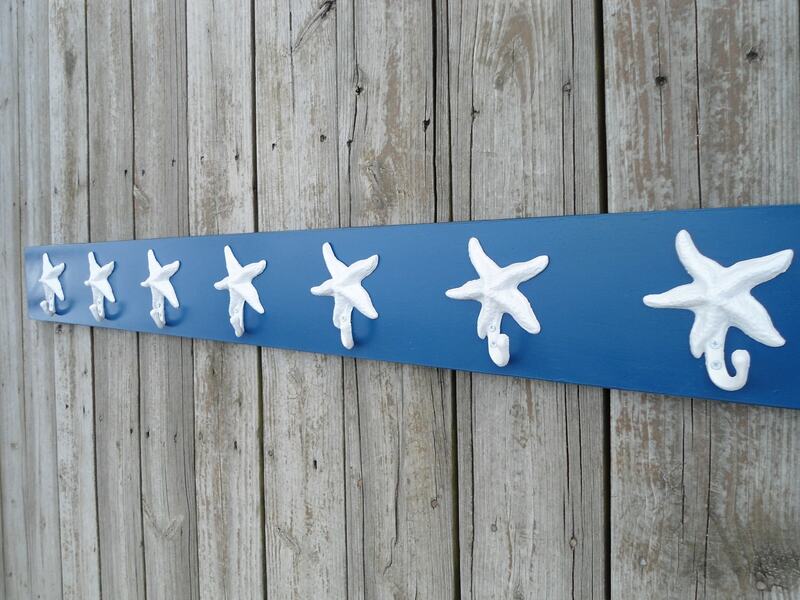 The dimensions of this sturdy handmade wooden hanger shown are 47" long, 5 1/2" high, and 1-2" deep, with 7 SEVEN starfish hangers...This board comes with d ring hangers already attached, on the back for easy hanging too; We recommend that these boards be hung from the studs in your walls. Or you can use anchor toggle bolts designed for use in drywall. Anchor/toggle bolts can be found at your local hardware store. We will position the center of the dring hangers approximately one inch from each end of your board. If preferred, we can ship your d ring unattached and you can attach them yourself. Please designate in the message to seller section if you want us to send you 2 d ring hangers UNattached. We lightly distress all board surfaces... Your board will come slightly distressed, unless you request very heavy distressing. If you only want 5 hooks, purchase that separate listing; this one is for 7 starfish hangers. If you like this look, check out our mermaids, sand dollars, lobsters, crabs, turtles, sea horses and anchors and other nautical wall decor; we'll continue to add fun shabby chic and beach decor in the same price range as this listing, for mounted and unmounted hooks, on painted pine, reclaimed wood, or as a stand alone hangers. Convo us with ?s. So in love with our stocking hanger/holder! Exactly what we expected! Thank you!